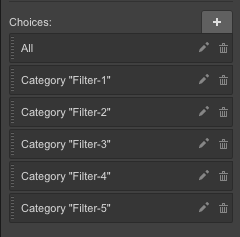 Required structure of the Dynamic Item and process of applying classes wereÂ described in the Filtering CMS Content tutorial. 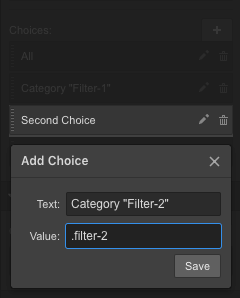 Select category: AllCategory "Filter-1"Category "Filter-2"Category "Filter-3"Category "Filter-4"Category "Filter-5"
After container with Dynamic Items was created and all necessary classes (for filtering and sorting) were applied start building Controls inside the Form. 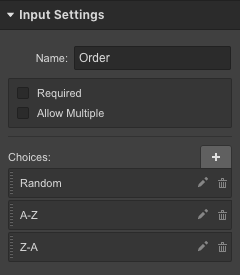 Add one select form element for filtering and one for sorting. 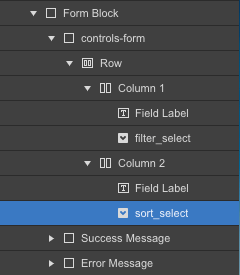 Give it classes .filter_select and .sort_select accordingly to their functions (IÂ also used columns labels for creating better user experience). Similar to all previous examples, first we will define our container, and controls (part #1). Then bind a 'change' event handler to our select elements, and interact with the mixer via its .filter() (part #2)Â and .sort() (part #3) API methods. 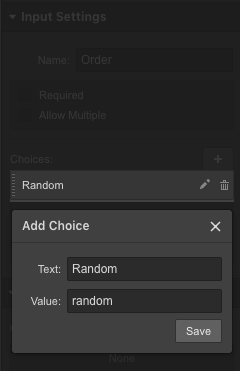 Now we will include link to the MixitUp library and all our code snippets <script>Â tags before the closingÂ </body> tag into the page custom code area.